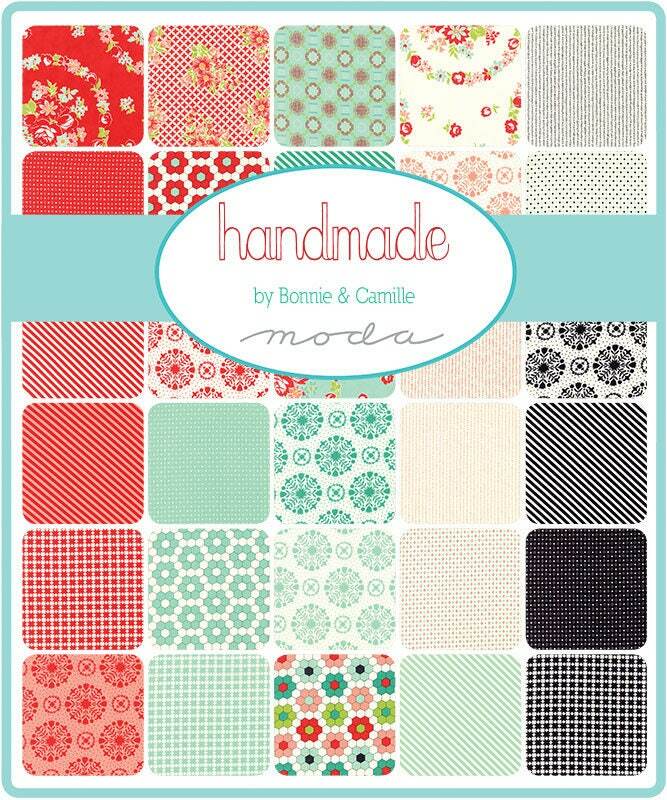 Wonderful assortment of quilt shop quality fat quarters from Bonnie and Camille's Handmade Collection of Fabrics. 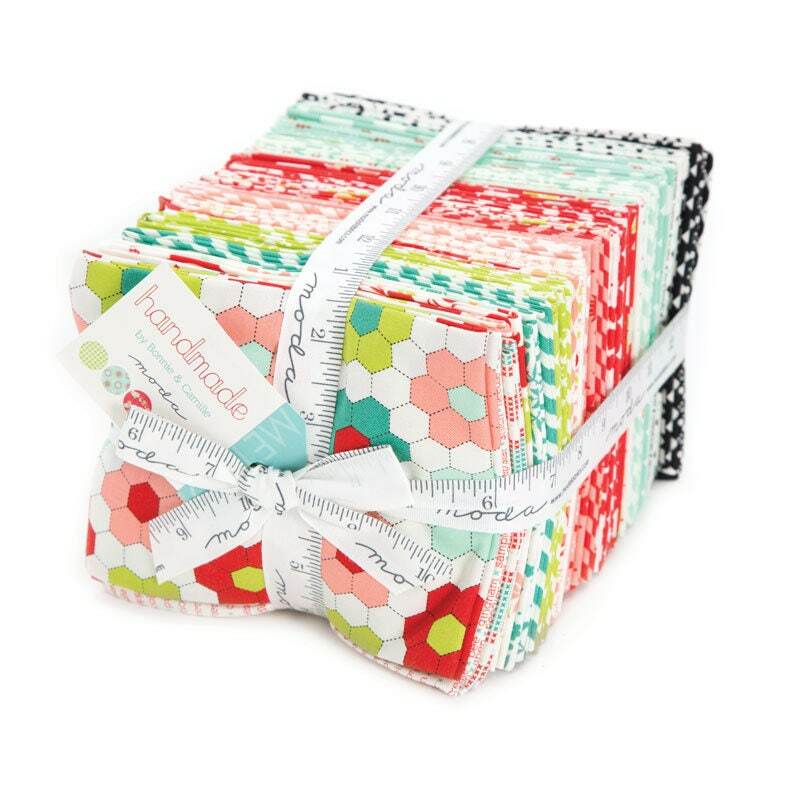 Each fat quarter is approximately 18" x 21". The quilt that's on my bed, right now is Simply Retro, a book by Camille Rosekelly who also writes patterns for her brand Thimbleblossoms.